A native of Manhattan Chinatown, Private Chen endured months of racial and physical attacks from his fellow soldiers and superiors. Finally on October 3, 2011, he took his life in the Khandahar Province of Afghanistan, where he was stationed. Elizabeth Street in Chinatown has been named Danny Chen Way to commemorate his sacrifice for this country, and that his wrongful death will forever be remembered. 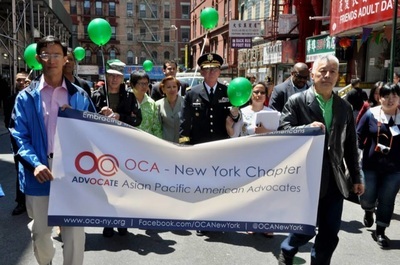 OCA-NY traveled numerous times to Washington D.C. to see this case through trial, and the perpetrators of the hazing, convicted. Crowds gathered in Chinatown Friday to remember the Asian-American soldier who took his own life while serving in Afghanistan. U.S. Army Private Danny Chen died from a self-inflicted gunshot wound on October 3, 2011 in Kandahar Province. Following the incident, eight soldiers faced court martials for racially hazing the 19-year-old. The death of the Chinatown native sparked national outcry and changes in the Armed Forces. "Obama, actually, though this work that gained national attention, has actually signed anti-hazing legislation," said Dr. Wah Lee of Asian Pacific American Advocates. "We as an organization, OCA New York, we have spoken with the Pentagon, and it seems like they have implemented policies based on the work that we have done." 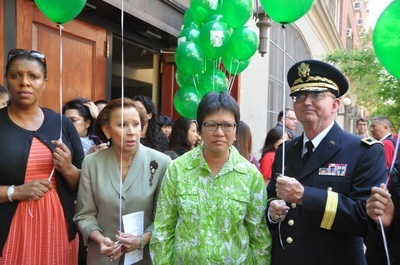 "He always wanted to join the army, and on this day, we want the community to remember him and let his legacy [continue] to carry on so this brutality will not be repeated in the army," said Sookling Lai, Danny Chen's teacher. The gathering, and a moment of silence, took place on "Private Danny Chen Way," located at the corner of Elizabeth and Canal streets. 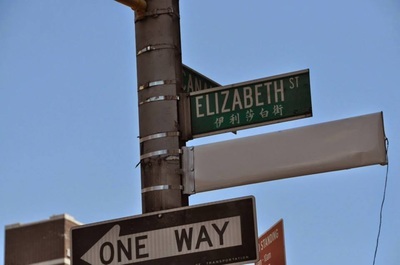 The street was named in his honor in May. 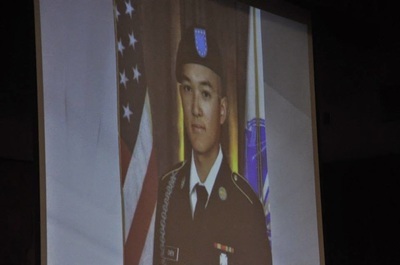 It’s been three years since Danny Chen, a 19-year-old army private, was found dead under mysterious noncombat circumstances in Afghanistan. While Chen died of an apparent self-inflicted gunshot wound, military investigations later found that he suffered through harsh hazing from some soldiers in his own unit -- abuse that including being pelted with rocks, being called anti-Asian slurs, and other forms of physical abuse. 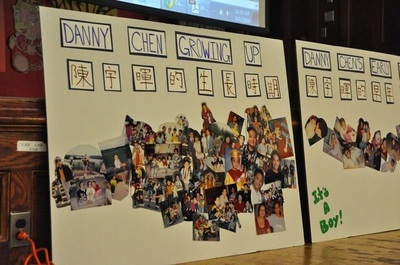 Chen’s parents and friends have said that the abuse reached a breaking point in the days before his October 3, 2011 death. Eight soldiers were court martialed for related charges. All were found or plead guilty. Two received prison sentences, two were discharged, others were demoted and docked pay. 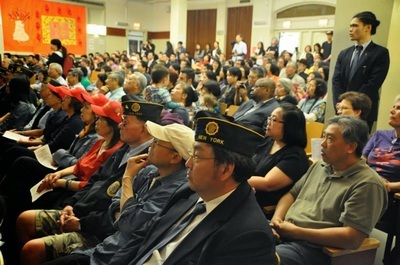 On Friday evening, many of Chen’s friends and members of the New York’s Chinatown community - where the soldier grew up - will gather for a moment of silence in Chen’s memory. The Organization of Chinese Americans-New York is urging people to pay tribute to Chen on the corner of Elizabeth & Canal Streets in Manhattan at 6:15pm. 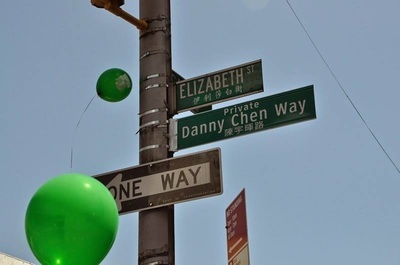 That portion of Elizabeth Street was renamed Danny Chen Way earlier this year. 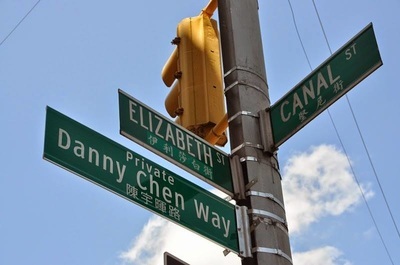 “I hope that from now on even more people will know what happened to my Danny," Su Zhen Chen, Chen's mother, said through a translator at the street’s dedication in May. This undated photo provided by the U.S. Army shows Pvt. 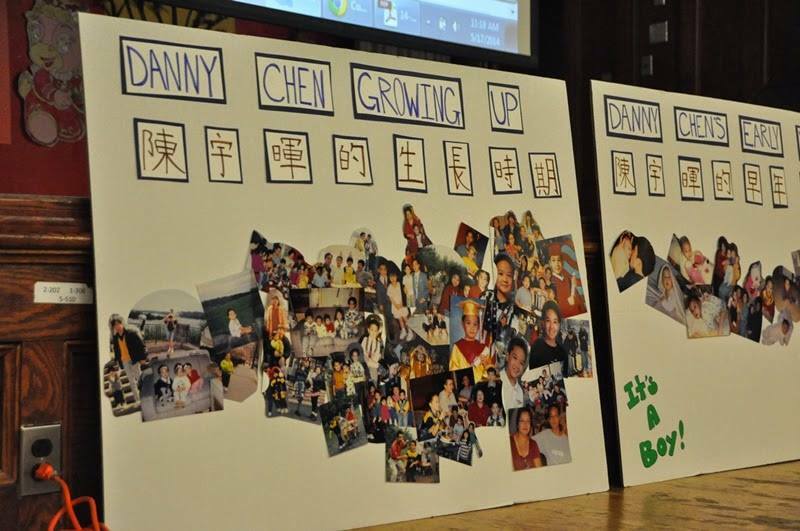 Danny Chen who died Monday, Oct. 3, 2011, in Kandahar, Afghanistan.